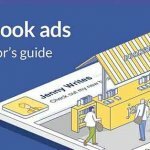 Facebook advertising is a marketing technique that is rising in popularity among many independent authors. As any other technique, it takes time, testing and iteration to produce results. And as for any other technique, it works better in certain genres and for certain books than others. 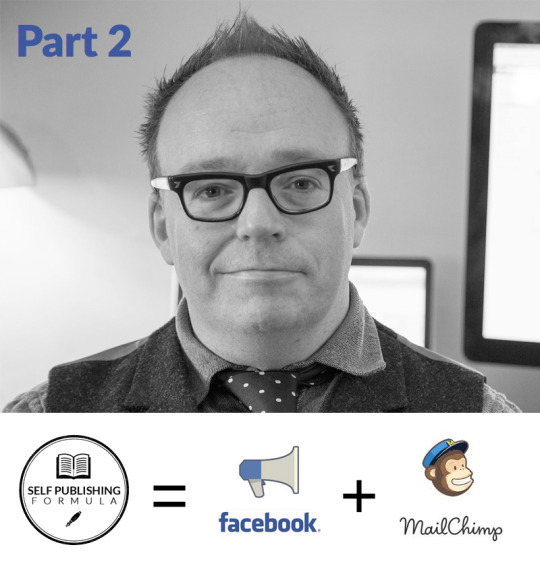 However, we believe there is a great untapped potential in Facebook advertising for authors and this is the reason why we interviewed internationally bestselling author Mark Dawson. 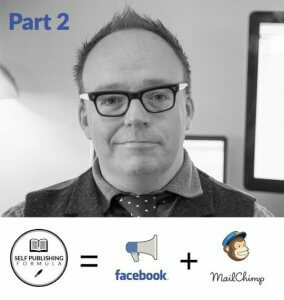 You can read part 1 of the interview here, where he focuses on growing a mailing list through Facebook ads. You can also play the full video below to enjoy a nice French chateau decorum and hear just how fascinated Mark is by the potential of Facebook marketing. Or, if you’re familiar with both, read part 2 of the transcript below! Here, we focus on advertising from Facebook directly to Amazon and how to track the results, on top of decrypting how Amazon’s wonderful algorithms work and how to get the most out of your faithful reviewers! Hi Mark! In part 1 of this interview, we discussed how you use keep separate mailing lists and automated email sequences to drive sales. 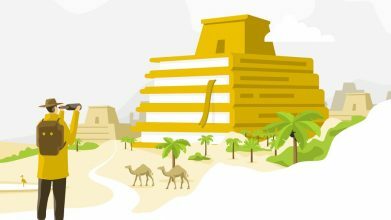 I am subscribed to your mailing list, and I noticed that before I get to the email where you offer me to buy the next book in the series, you offer several free books and really try to build a relationship with the reader. Yes, and that’s really important. One thing I’ve worked very hard on is to turn those subscribers into readers, then into fans, then super-fans, and finally into friends. That’s kind of the way I look at it. So I’ve got a street team with nearly 900 people, which is now closed because 900 is enough for what I need. 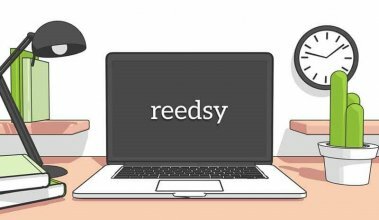 But I answer every single email from readers, whether it comes from they finding my email address on my website or from a reply to an email I sent out, I reply to everything. I also try to answer every message on Facebook. I think that’s really important, and it might be one of those things I’ll not be able to do forever, because I’ve got probably 20,000 people on my lists now and am very busy writing new stuff and running the business. So at some point I’ll have to sit down and ask myself: “can I justify spending an hour every day answering email correspondence from readers?”; but I’ll put that off as long as I can, because I think that’s one of the main reasons why last year was so successful. I’ve now got fans who I can really rely on: when I say I’ve got a new book out, I know they’ll go and buy it. And if that happens in certain numbers, then Amazon starts marketing for you and everything becomes a virtuous circle at that point. Yes, it’s really all about hitting that point where Amazon starts doing the work for you, isn’t it? And the launch is a particularly crucial moment for that, right? Yes, I’ve launched quite a few books like year and monitored and studied the dynamics of the launches, so I’ve got it down now to a reasonably fine art. I know, for example, that if you’ve got 1,000 people on your list and you’re confident that 100 of them will buy the book when it comes out, you don’t want them to buy the book on the same day. Amazon rewards you for steady sales rather than spikes. So it’s better to have 20 every day for 5 days rather than 100 on day 1 and then nothing on days 2 to 5. That kind of stuff is quite important, and if you’ve got — like I do — segmented lists, you’re able to “massage” the sales into a pattern that you think will be best for Amazon to notice this new book. And if we go back to Facebook ads, what I might do for the launch is set up an ad just targeted to people on my mailing list. One thing that Facebook allows you to do is to import your email addresses from your mailing list and they will then match these email addresses with Facebook accounts (provided that these people have one). So I will also serve ads to those people as well. Some people might say: “why are you saying the same thing twice? You’re already sending them an email asking them to buy the book.” Well, not all emails are opened (50% is already a very high open rate), and it’s a standard advertizing theory that it takes more than one touch for someone to make a buying decision. So that kind of joined-up campaign is going to be more effective than just an email blast or just a Facebook campaign. Yes, that’s what we call “re-marketing” in the business world, and it’s a widely used technique to engage with users who sign up for your services but then don’t end up “buying” anything. Facebook’s “custom audiences” are a great way to do that indeed. Another amazing feature that Facebook has is “lookalike” audiences, do you use those? Oh yes, all the time. For those who don’t know what one is, you can import your mailing list into Facebook and then tell them: “please, generate a lookalike audience based on this mailing list”. Facebook will then try to assess what the people have in common in your mailing list, and algorithmically search for people matching the same interests, demographics, etc. And how are the results, compared to the standard campaigns simply based on “interests”? Sometimes better. My best sales ad for one of the boxed sets I have on sale is a 2.2M list of people based in the United States defined as a “lookalike” of my mailing list. I optimize the ads for clicks and typically generate a %50-%100 ROI every day. For the ads that redirect to Amazon, how do you track the results? Because you can track what happens on your website, but you cannot track what happens on Amazon, right? That’s an interesting question and one I’m looking into right now. 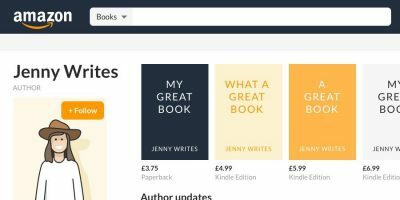 At the moment, I use affiliate linking: you can set up an affiliate account and direct your ads to the affiliate links, so Amazon will tell you through their affiliate program exactly how many people have bought your book coming from that affiliate URL. Unfortunately, I’ve been looking into this as I said, and it looks like you’re not really allowed to use an Amazon affiliate link in a Facebook ad, which is really really annoying. So what you’ll probably have to do is send the traffic from Facebook to your website where you have a sales page, and then your sales page has the affiliate links. And I hate that, on the one hand, because it’s putting a step between the ad and the buying decision, but on the other hand you can put things on your sales page that you cannot have on Amazon, like a video, or clips from the audiobook, etc. Of course, if that doesn’t prove to work, the alternative is just not to use affiliate links and directly send the traffic to Amazon, on a normal link. You’re less precise on your numbers that way but provided you know what you were selling before, you can get a rough idea of how effective the campaign is being. Last question for you Mark, to wrap this up and let you go back to your other activities. 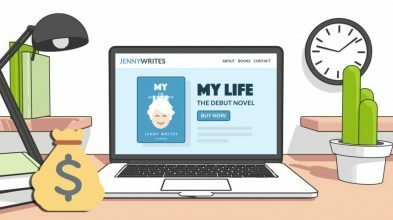 Let’s say I’m an author, I have a mailing list with 20 subscribers, and I’ve just implemented a “reader magnet”, where I offer a free book for readers to subscribe to my mailing list. I’m still getting only 2-3 reviewers a week. What kind of actionable steps can I take in order to get more subscribers? 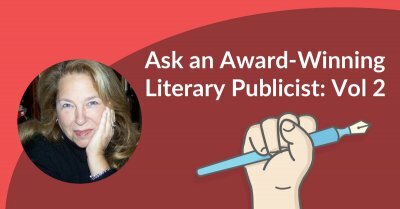 First, make sure that the call to action for that reader magnet is everywhere. You need to advertize the reader magnet on your product page, because a subscriber is more important than a sale. So if a reader sees it on the page but doesn’t buy the book, don’t worry: once they’re on your list, you can offer them book 2, book 3, etc. You need to look at it as a long term financial proposition rather than short term financial gain. So put it on the product page, put it on your Amazon (and Reedsy) author page, put in on your books — front and back: front so readers see it if they use the “look inside” functionality on Amazon, back so readers who enjoy your book can subscribe to get more — and everywhere else: link your social media profiles to your landing page. Provided all that is in place, I suggest you look into Facebook ads, because that’s one pretty hot area right now with incredible growth opportunities for us. Thank you so much for all this advice, Mark! 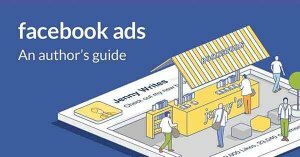 If you want to learn more on Facebook ads, visit Mark Dawson’s course, Self-Publishing Formula, here! Have you tried using Facebook advertising to grow your mailing list? Or to sell more books? What do you think of Mark’s tools for success? Leave your thoughts, or any questions for Mark, in the comments below! 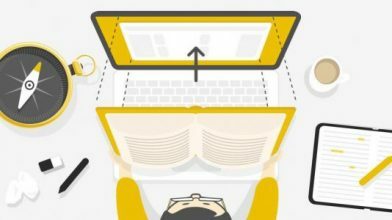 Master one of the web's most powerful ad platforms with this free 10-day course. Learn how to tap into Facebook's user base to acquire new readers for as little as $5 a day. @markdawson1973:disqus Hi Mark! Thanks for all the info. A couple years ago, I was able to track Amazon affiliate link clicks by adding a "+" sign to the end of each link like a Bitly, but they stopped allowing that. Do you know of a way to see clicks on a specific AA link?